The Atlantic Climate Adaptation Solutions Association (ACASA) administers the Atlantic Regional Adaptation Collaborative(RAC) Program. ACASA projects are part of a larger national program developed by Natural Resources Canada (NRCan) to cost-share efforts to improve climate change adaptation decision-making. The program was designed to support a regional focus on the most pressing issues in each of six areas across Canada. Under the agreement between NRCan and ACASA, acting on behalf of Atlantic governments and stakeholders, ACASA undertakes projects that assess coastal and inland vulnerability to climate impacts and develops guidelines for the siting and protection of groundwater resources from the intrusion of saltwater. One of the many projects undertaken by ACASA/RAC is the Tantramar Dykelands Infrastructure Assessment. Because of climate change, property and agricultural lands are at risk due to greater probabilities of inland and marine flooding and erosion, especially in relation to dyke flood protection structures. This project uses digital elevation modeling to model future sea level rise and flooding. Infrastructure at risk is also mapped as part of the project. This project overlaps with one of Nova Scotia’s projects and will provide planning tools to other stakeholders such as CN, CBC, Parks Canada and various provincial departments. 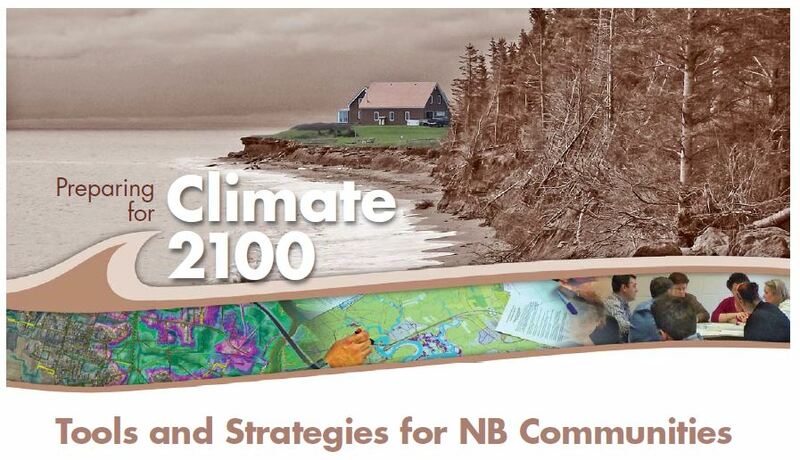 From November 14th to 16th ACASA/RAC hosted the conference “Preparing for Climate 2100 – Tools and Strategies for NB Communities” at the Fredericton Convention Centre. Assessing and managing risk, identifying vulnerabilities and planning for climate-related impacts – these are priorities for New Brunswick municipalities. This conference provided information on the tools and resources developed and implemented during the last 3 years of the New Brunswick Regional Adaptation Collaborative’s work, as well as hands-on workshops to provide guidance on how to use these tools.